Canadian Tire Centre is a multi-purpose indoor arena in Ottawa, Ontario, Canada, located in the western suburb of Kanata. It opened in January 1996 as The Palladium and was also known as Corel Centre from 1996 to 2006 and Scotiabank Place from 2006 to 2013. 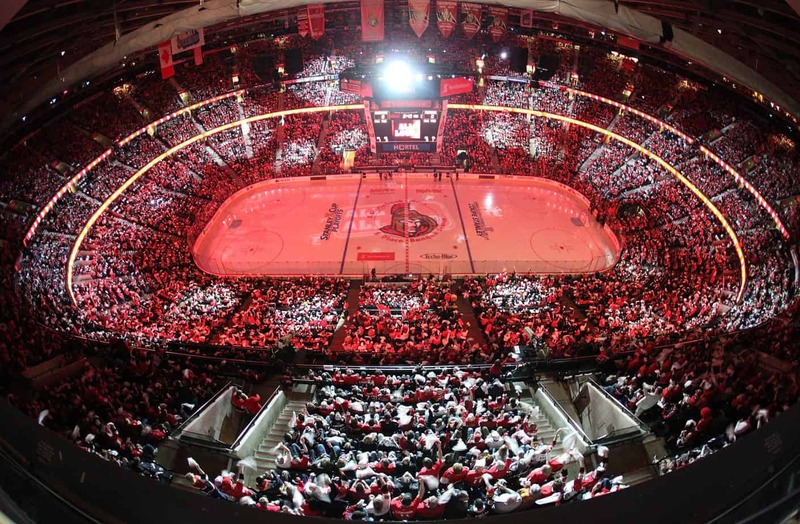 The arena is primarily used for ice hockey, serving as the home arena of the Ottawa Senators of the National Hockey League (NHL) since its opening in 1996, and as a temporary home for the Ottawa 67’s of the Ontario Hockey League during renovations at its arena. The arena is also used regularly for music concerts and has hosted events such as the Canadian Interuniversity Sport men’s basketball championship and the 2009 World Junior Ice Hockey Championships.